The conversation menu - it gets people talking! Ever stuck for words? Conversation menu to the rescue! 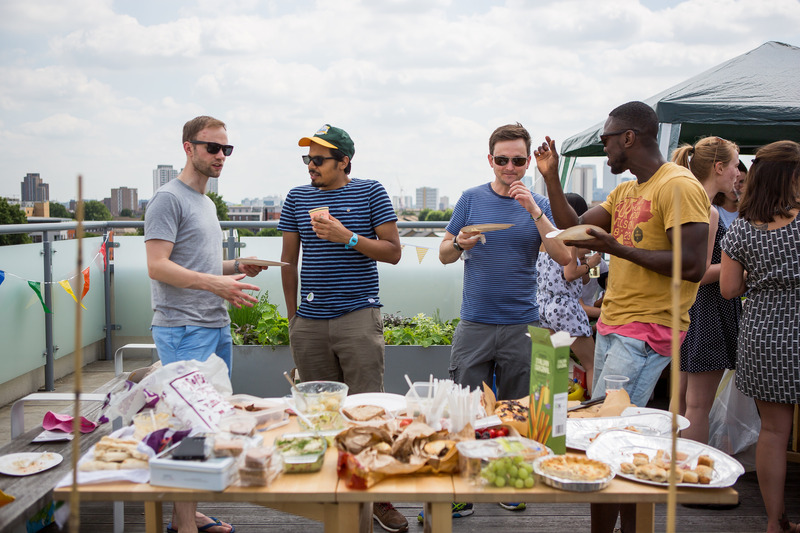 Whether you are hosting your Big Lunch at home, school, work or in a community centre, here are some helpful conversation starters to get you going. 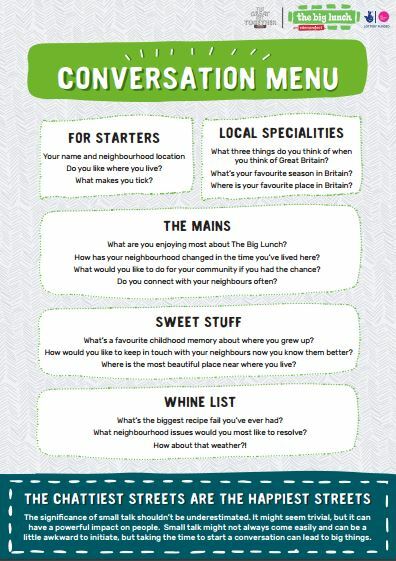 Click the link below to view and download a full size conversation menu, which you can print and share with your neighbours - at your Big Lunch, and anything else! 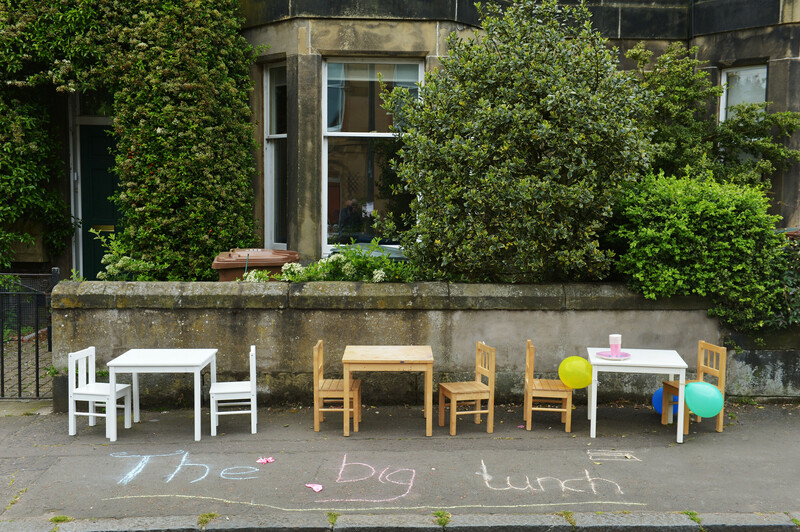 Think about how many people will be attending your Big Lunch. Will they all be seated around a large table, or is it a garden party or barbecue where people will be more likely to roam freely throughout the day? Count up your RSVPs and print off enough conversation menus for everyone who will be coming, plus a few extras just in case! You may also like to familiarise yourself with the questions and think up a few responses, so that you can get the ball rolling with others. 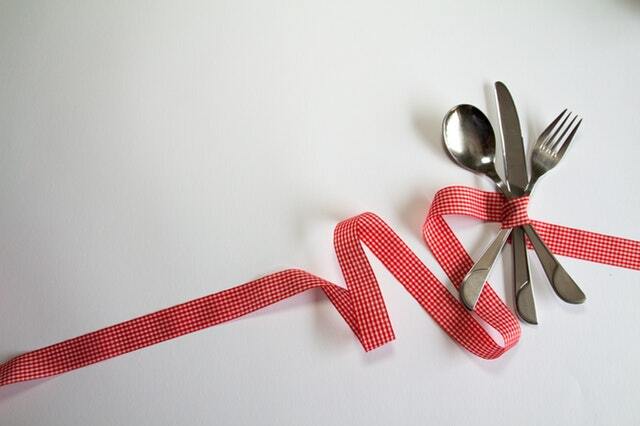 Lay out a conversation menu in each person's place at the table, or if its a more informal affair, leave several piles in different areas where people are likely to pick them up. If you can find or make an attractive frame to display a copy of the menu in, this will help make it a more visible centrepiece. Think glitter, marbles, mosaic, shells, or perhaps a natural style of bundling sticks and twigs and accenting with a flower in the corner. The guests have arrived! You could consider handing a conversation menu to each person as they enter, briefly explaining its purpose as an ice breaker and encouraging guests to get involved. Set the example by using the menu as you move about your Big Lunch gathering. Create opportunities and conducive spaces for people to socialise, provoking comment and conversation. Communication is the doorway to connection, so be sure to make the most of every opportunity!